Back from St Ives after another successful week at the Salthouse Gallery. 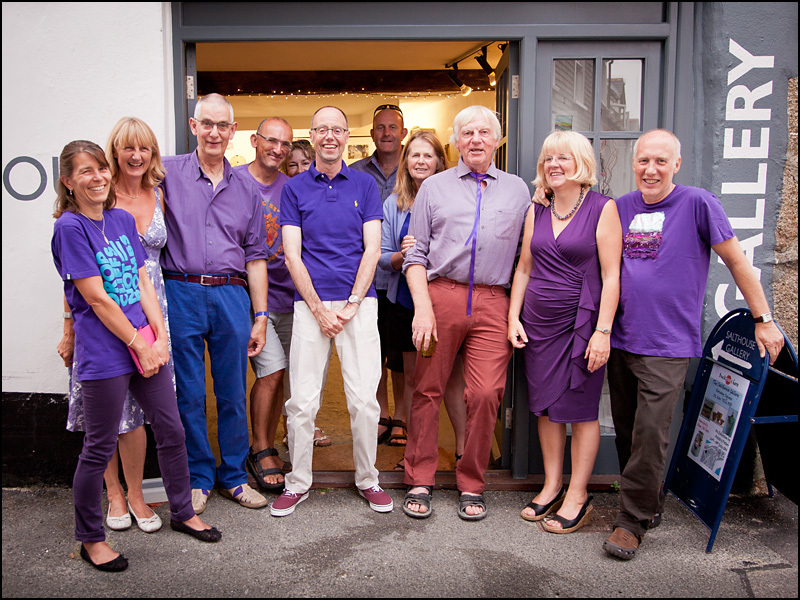 Here are most of the group (minus Ann, Ian and Chris) plus a couple of guests, outside the gallery before closing up last Saturday to go out and celebrate Jeremy’s birthday. No need to adjust your monitor, there really is a purple tinge to the group…. More St Ives news and images to follow! This entry was posted in Exhibitions and tagged Salthouse Gallery, St Ives on August 2, 2014 by Carol.